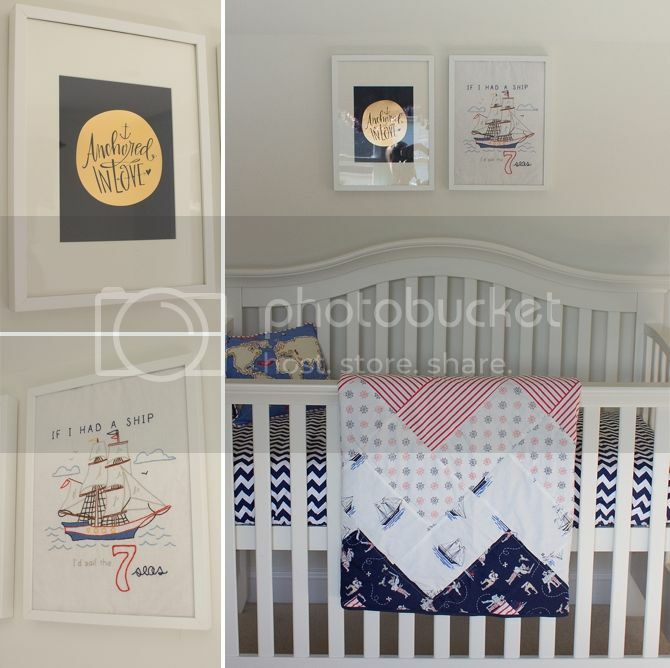 Sol and Rachel do a Blog: Keaton's Nautical Nursery. Ish. 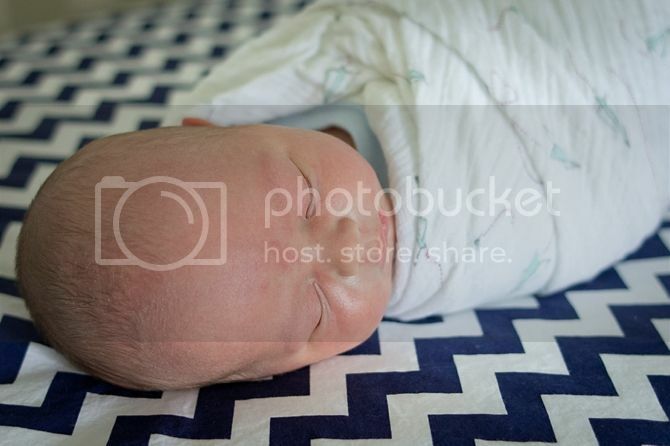 No shame in purchasing your son's fitted crib sheets, especially when they have them in chevron. I think the next baby deserves a space themed room, don't you? Christina - KILLING ME. Also, I like everything! I just love that line of nautical fabrics as well. I am a full believer in buying everything for newborns from PBK -- but you've taught me the dark side of needing to MAKE nursery bedding. Or, well, buying fabric and then watching you or my mom make nursery bedding. Keaton is so cute. And cribs really arent for babies until you're ready to sleep instead of snuggle anyway. Love Keaton's little face! I can't wait to snuggle with him too!!! I would LOVE a sitting room/nursery. I am plotting to get one, actually. It's kind of perfect. Sorry baby, but I can't dedicate a whole room to you. We share around here. Sometimes. 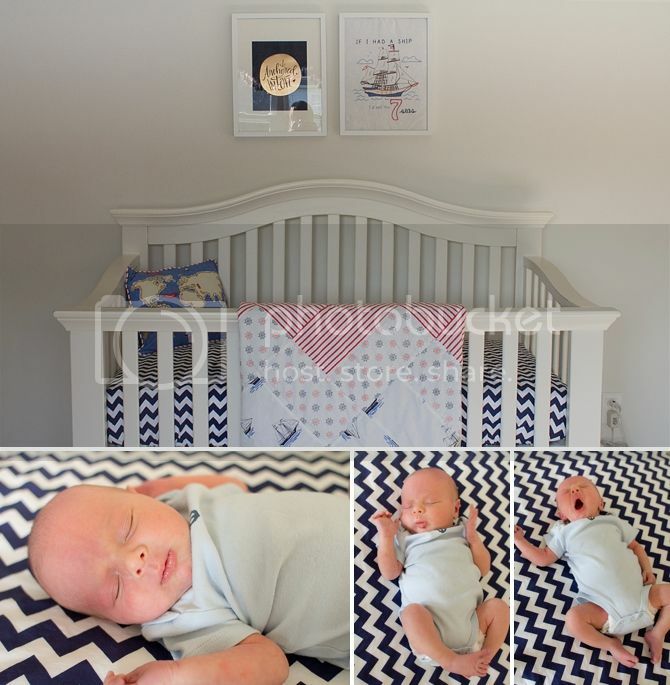 Um that beautiful crib sheet with chevron pattern makes me want to trade in Peter's argyle bedding. How awesome to have a little sitting room to set up a little nursery!!! 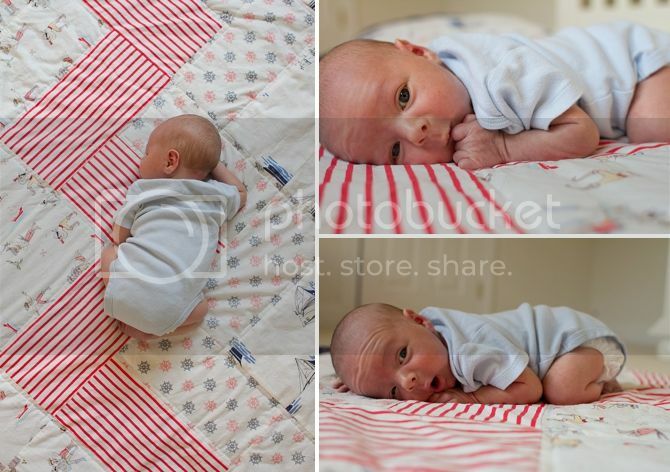 Seriously Keaton couldn't be cuter.....newborns- ahhhhh a little piece of heaven. LOVE it- I am already afraid Emme is getting too big. She isn't even 2 weeks. It's amazing. I didn't even realize how much I would love it! And I totally agree--even though Keaton is still smaller than his big brothers started out, I feel like he's so big. This is why I'm going to have a million babies.